While sequestration started back in 2011 as a means to reduce federal government spending, its effects are still being felt by programs such as Head Start, and will likely continue to be felt for years to come. Fully in effect beginning March 1, 2013, many Head Start program administrators began scrambling to find new and innovative ways to reduce supply costs and spending across the board. Unfortunately, these budget cuts have led to a loss of spots for children and their families who rely on the Head Start program for educational and nutritional support and have cut jobs for teachers and administrators who dedicated their lives to working with Head Start. Other areas that have been most damaged by sequestration include meals programs for senior citizens, reduced preparedness for natural disasters, reduced treatments for cancer patients and cuts on scientific research financial aid. Now that the damage of sequestration on Head Start programs is more apparent, administrators are doing all that they can to reduce supply costs and spending as a way of continuing to welcome as many children of low-income families as possible, while living under the new budget. The $8 billion nationwide program was forced to cut the budget by 5.27 percent across the board and while not every facility has experienced losses of slots for local children, many parents who rely on this program are still worried that cuts might have to be made in the future. Administrators have begun to get creative, making cuts to food costs and looking for the best prices on office and janitorial supplies to reduce spending. Unfortunately, there are only so many hours in a day and many administrators simply don’t have the man power or the time to spend searching around for the best prices to reduce supply costs and spending. Clearly the damage of sequestration on Head Start programs will continue to be felt for many years to come. The Head Start program may have begun as an educational service provided to low-income families across the nation, but it has evolved into a much larger program that many families count on each month. The U.S. Department of Health and Human Services is the federal government department that funds the Head Start program. Currently, there are over 960,000 children enrolled in the Head Start program that count on the two hot meals that are served there each day, basic medical care for vision and hearing, as well as transportation to and from school. While many who criticize the Head Start program have likened it to “subsidized day care,” there are many more benefits to low-income families that simple babysitting. The families that count on the Head Start program are barely getting by on their own and with government budget cuts happening to other programs that serve the unemployed or low-income families, cutting one more program – especially a program that supports the educational and nutritional needs of their children – can feel overwhelming. One way that Head Start program administrators can reduce supply costs and spending is to work with Supply Source Plus, a free service that provides a review of each program’s operational costs with regard to office and janitorial supplies. They will even provide a review of other related expenditures, including accounting and background verification services for employees. The team at Supply Source Plus will then notify the administrator of their findings and share advice on how to achieve their budget savings goals through the use of suppliers that work within the Supply Source Plus program. Once agreed upon, Supply Source Plus will then implement immediate savings for Head Start programs through immediate savings with pre-negotiated pricing with suppliers. In addition to school year long programs, Supply Source Plus can also offer their free services to assist with one-time purchases for these programs. Once the initial evaluation phase and negotiation to find the best prices on office and janitorial supplies is past, Supply Source Plus continues helping Head Start programs to reduce supply costs and spending through expert management of your purchasing and supply chain for continued efficiency. 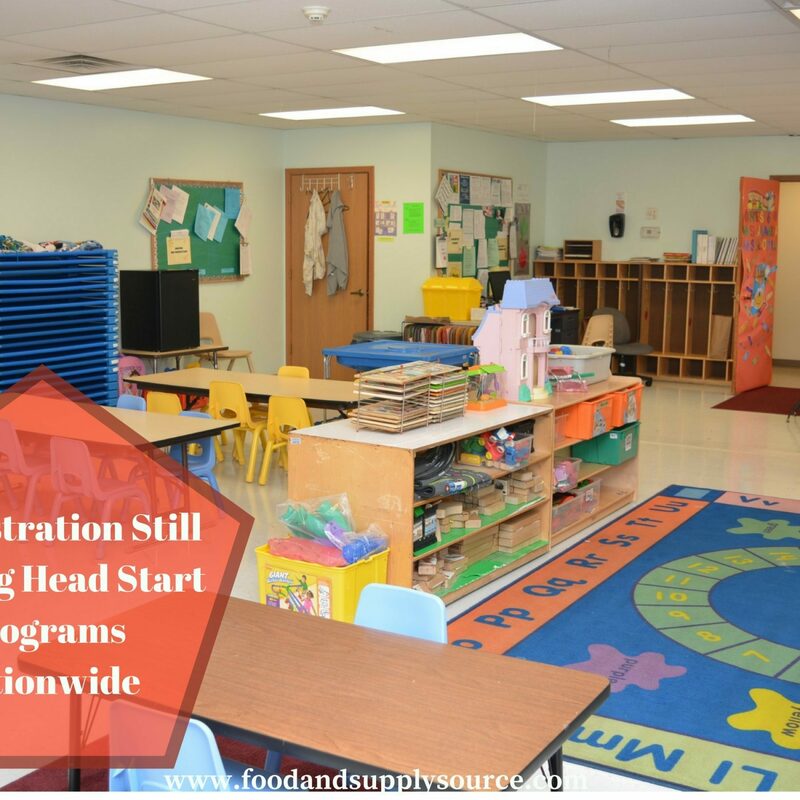 Regular evaluations can be conducted to ensure that you keep working to reduce supply costs and spending to decrease the damage of sequestration on Head Start programs to your facility. Supply Source Plus makes sure that our clients are getting the best prices on office and janitorial supplies so administrators can put the focus on education and nutrition programs for their participants. Working together, we can help Head Start programs to continue providing valuable services to low-income families nationwide, services that many have come to count on as they work to raise healthy children in a struggling economy. Call Supply Source today for your free evaluation and reduce your supply cost and spending now!